I settled a tough motorcycle accident case last month on the eve of trial. My client had very serious injuries, and the insurance company was offering zero. Preparing for trial, I had focus-grouped the case a number of times to mock juries. Even as an attorney who handles motorcycle accidents, the results surprised me. In each focus group, there were members of the mock jury who were already blaming my client, for no reason other than he was riding on a motorcycle when the crash occurred. This — combined with some recent statistics I found on motorcycle crashes — is leading me to share the biggest mistake lawyers make when handling motorcycle accident cases. Avoiding this mistake can help all personal injury lawyers protect clients from being unjustly blamed for causing a crash when they are not at fault. * Motorcycle accidents were up 17 percent in 2007. * Fatalities from motorcycle crashes increased 7 percent. * In 41 percent of these, the motorcyclist was legally drunk. * In 25 percent of these accidents, the motorcyclist was unlicensed. * 37 percent of bikers were speeding when they were involved in motorcycle accidents. * 20-29 year old motorcyclists are more likely to crash, but 30-49 year old bikers are more likely to die. What Does this Mean for Motorcycle Accident Lawyers? First, the obvious: Motorcycles are dangerous. And far too often, as the above statistics demonstrate, a motorcyclist is drunk, speeding or has exercised poor driving judgment. Now, the not-so-obvious lessons: Many people think a motorcyclist was drunk, speeding, or exercising poor driving judgment…even when he was not and is, in fact totally innocent! Personal injury attorneys handling motorcycle accident cases should expect defense attorneys to blame bikers, even when they are completely innocent, because like it or not, most jurors who do not ride motorcycles have a propensity to blame the motorcyclist. 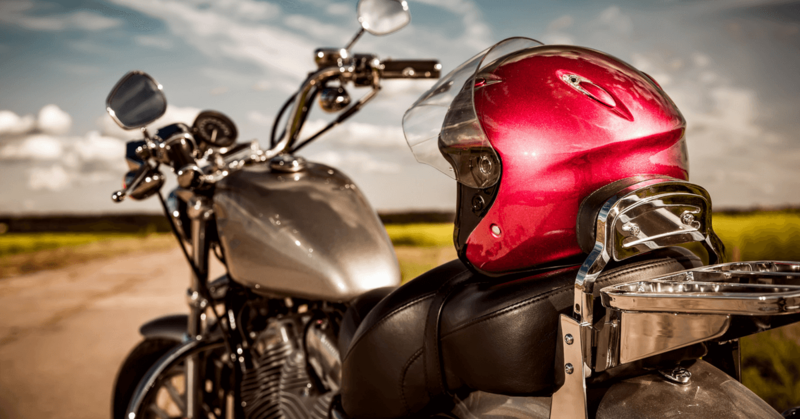 This unfair perception many people have of all motorcyclists (even one who is a safe and experienced operator) makes these cases very dangerous — especially for lawyers unfamiliar with motorcycle accident laws and accident reconstruction principles. Aggressive voir dire on this subject is an absolute must for any lawyer going to trial in a case involving a serious injury from a motorcycle crash. What Else Should Motorcycle Lawyers Do? * The rules of the road apply to motorcyclists just as they would to anyone else on the road. * Motorcycle riders are entitled to same protections as any other person or vehicle on the road. * A car or truck driver has to see what is there to be seen, whether it’s a motorcycle or car. * A driver has to yield to a motorcyclist who has the right of way in the same manner as any other vehicle. * Motorcyclists are entitled to an entire lane of traffic. * Motorcyclists are entitled to the same three-to-four-second follow distance, just as with a car or truck. The motorcycle injury case I was preparing for trial settled for $825,000 in Monroe, Mich. The insurance company went from the previous offer of nothing, in large part, to these themes. My client was initially found at-fault when a driver turned in front of his oncoming motorcycle, and was unable to give his version of events to the investigating police officer at the scene because of a traumatic brain injury. Applying the rules and themes above, I proved that my client was entitled to the same protections and safeguards as anyone else. I wouldn’t be surprised if our personal injury law firm has handled more motorcycle accident cases in its 50 years than any other lawyer or law firm in Michigan. One of the things I’ve come to understand is that motorcycle cases are different from other types of cases. Our attorneys understand the physical, psychological and financial hardships motorcycle accident victims experience, including a “triple-whammy” in many of these cases. Usually, motorcycle injuries are more serious than car accidents, but without the Michigan no-fault insurance benefits to help pay for medical bills and wage loss. Read here for information on insurance for motorcyclists. Then, there’s juror suspicion and a predisposition to blame the victim. My client would have received nothing, regardless of the fact he was innocent and unfairly blamed for causing an accident. This example shows that an experienced motorcycle accident lawyer can help. If you have questions or wish to speak to a motorcycle accident lawyer about your circumstances, please call Michigan Auto Law for a free case evaluation at (800) 777-0028. – Steven M. Gursten heads Michigan Auto Law. He is recognized as one of the nation’s top attorneys handling serious motorcycle accident injury cases and insurance no-fault litigation. Steve received the largest jury verdict for an auto accident and top reported overall personal injury settlement in Michigan in 2008, according to year-end verdicts and settlements report. He is available for comment on motorcycle accident law in Michigan, motorcycle crashes and catastrophic personal injury cases.